Politics Driven by economic concerns, anti-incumbent fever, Tea Party enthusiasm and Sarah Palin's inspiration, a record number of GOP women are vying for seats in the House and Senate. Fourteen Republican women are in the running for the U.S. Senate, compared to three in 2008. And 94 are still vying for House seats, compared to 46 at about the same time in the primary cycle two years ago. 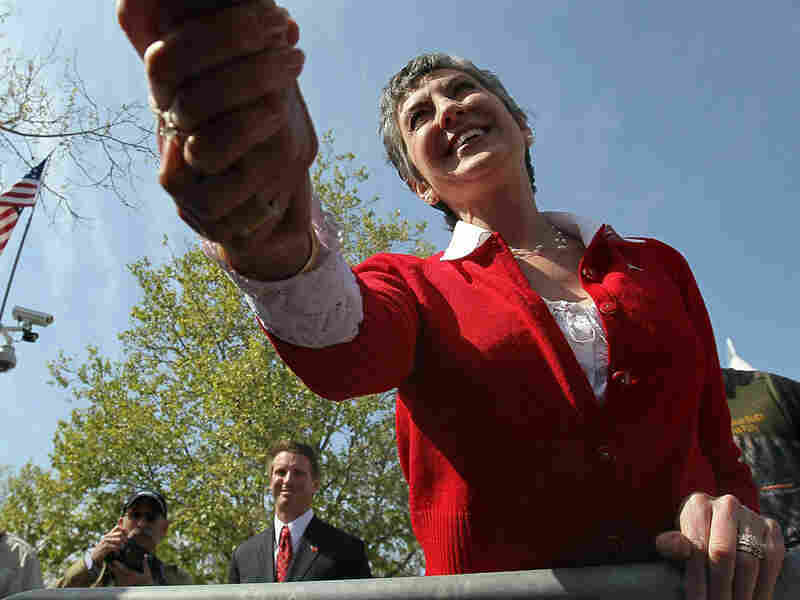 Carly Fiorina is hoping to knock California Democrat Barbara Boxer out of the Senate. An unprecedented number of Republican women are running for their party's nomination in U.S. House and Senate primaries -- or are already on their way to battle Democrats in the fall midterm elections. So many are campaigning that many conservative women are anticipating strong gains in their congressional numbers come November. "This is a breakthrough moment," says Marjorie Dannenfelser of the Susan B. Anthony List, which raises money for female candidates who oppose abortion. Fourteen Republican women are in the running for the U.S. Senate. In 2008, just three Republican women competed in the general election, according to the Center for American Women and Politics. And 94 are still vying for House seats, compared with 46 at about the same time in the primary cycle two years ago. Also telling? Sixty of the 106 women who are challenging incumbents for House seats are Republicans -- a sign, says Debbie Walsh, the center's director, that GOP women are increasingly willing to "put their hat in the ring," though the fall outcome remains unpredictable. Whether spurred by concern about the economy, a pervasive anti-incumbent fervor, Tea Party activism, or former vice presidential candidate Sarah Palin's example -- or some of all of the above -- the GOP's "shot of estrogen," as characterized by columnist Andrew Sullivan, will get its fullest display in next week's Republican primaries. The most high-profile of next week's contests involving women will play out in California and Nevada. In California, former eBay head Meg Whitman is expected to win the Republican gubernatorial nomination over state insurance Commissioner Steve Poizner for the seat being vacated by term-limited GOP Gov. Arnold Schwarzenegger. Attorney General Jerry Brown is the Democratic candidate. And Palin-endorsed Carly Fiorina, a former Hewlett-Packard chief, has surged to a lead in the polls over two male challengers in the party's U.S. Senate contest. The winner will face Democratic Sen. Barbara Boxer in the fall. Whitman and Fiorina, along with Republican Senate candidate and professional wrestling executive Linda McMahon in Connecticut, represent a new political trend, Walsh says, of female executives turning to politics. In Nevada's Republican Senate primary, two women -- establishment favorite Sue Lowden, a casino executive, and Tea Party-endorsed Sharron Angle -- are locked in dead-heat combat for the opportunity to face Democratic Sen. Harry Reid in the fall. Angle is a former state legislator. Politicos are also watching the GOP's gubernatorial primary in South Carolina, where state Rep. Nikki Haley, another Palin endorsee, leads the pack. 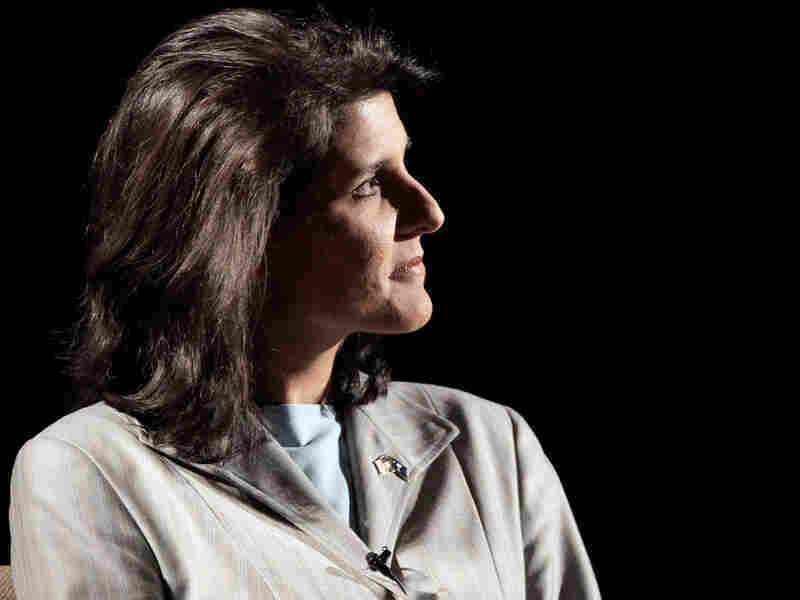 Republican state Rep. Nikki Haley is seeking the GOP gubernatorial nomination in South Carolina. "Republican women candidates -- it's a fresh brand," says Dannenfelser, whose organization expects to spend up to $12 million to help candidates it has endorsed, including Fiorina and Lowden. Republican women, she says, will open some eyes to "what it means to be a feminist and an authentic woman in politics." A summer of primaries will continue to cull the ranks of Republican female candidates, but conservative leaders -- including the Republican National Committee, which has been sponsoring its second year of "Women's Summits" for activists and candidates -- are hailing this season as providing women a seminal electoral opportunity. Statistics kept by the Center for American Women and Politics at Rutgers University show that Republican women have failed to make gains in Congress in recent years. Currently, four out of 17 female U.S. senators are Republican. On the House side, just 17 of the chamber's 73 female members are Republican. That's down from 2002, when there were five Republican female senators, and 18 GOP women in the House. Why have the numbers stagnated -- at best -- over the past decade, when Democratic women have upped their representation from eight senators to 14, and from 41 to 56 House members? Some, including Penny Nance, head of the Concerned Women Political Action Committee, which opposes abortion, suggest that part of the answer may be that conservative women "tend to be more traditional, and spend more time at home raising children." But she and Kristen Soltis of the conservative polling firm The Winston Group also say that the new surge of female candidates suggests a conservative movement that is evolving. "The Republicans' majority coalition was falling apart after the 2000 election," says Soltis, Winston's policy research director. "The party had been a more diverse coalition, but that began to crumble." The party, she says, having lost so badly in the past two election cycles, has been presented an opportunity to bring in fresh blood and new voices this year -- including those of women, whose votes the party has lost in recent elections. When Palin appeared at a recent breakfast fundraiser for the Susan B. Anthony List, Dannenfelser called her the "wind in our sails" -- someone who "embodies the energy" of what she characterized the new conservative women's movement. Sarah Palin, the 2008 GOP vice presidential nominee and former Alaska governor, is an inspiration to some. Palin's life story -- mother of five, including a son with Down syndrome, governor of Alaska, vice presidential nominee -- has proved compelling to many conservative women. 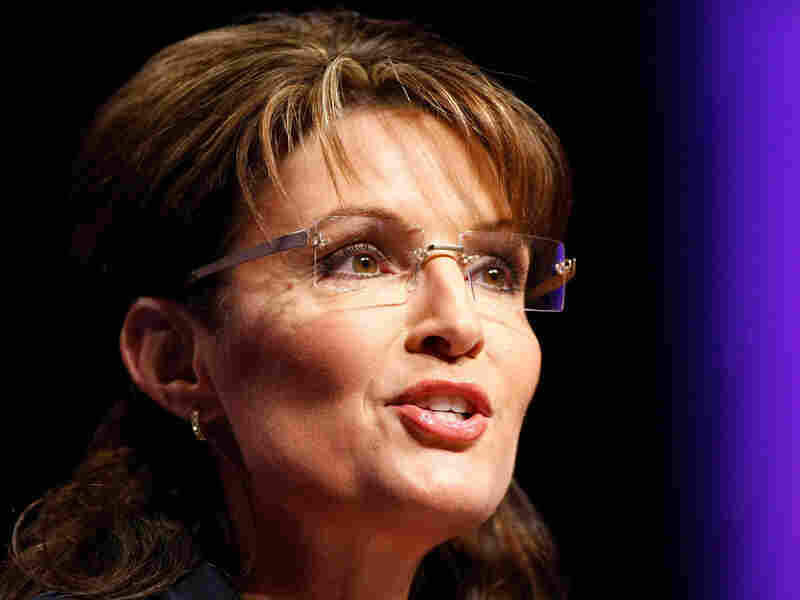 But GOP strategists are careful to note that while Palin, a controversial figure in her own party, has inspired some, the new class of conservative female candidates has largely been motivated by the economy and fervent opposition to the Obama administration's agenda. "I certainly don't think that Sarah Palin has had nothing to do with this," Soltis says, "but it is the huge concerns about the economy and unemployment that are energizing people across the board -- including Republican women." Indeed, polling done for the RNC shows that the major issues for target voters are government spending. including health care costs, and the national debt. Those economic issues trump all others for both men and women. Abortion and Wall Street oversight ranked the lowest in terms of importance to voters surveyed. Some pundits have suggested that the Tea Party movement has played an important role in giving voice to conservative women and may be driving the female candidate surge. And Walsh, of the Center for American Women and Politics, says that the Tea Party's empowering effect is something that merits analysis when the story of this election season is told. But, for now, polling suggests that the anecdotal narrative may be thin. Gary Langer, director of polling for ABC News, says that though he has not polled on a candidate's gender as a variable, his data have shown that women are slightly less apt than men to support the Tea Party movement. And they are 10 points more likely than men to say that the Democratic Party, rather than the Republican Party or the Tea Party movement, "best represents their own values, is more concerned with their needs and best understands the economic problems people are having." Women are also more likely than men to say they'd oppose rather than support a Tea Party-affiliated candidate in congressional elections. However, Langer notes that women are nearly as likely as men to look for a new candidate rather than re-elect their incumbent representative. "Nonetheless," he says, "women overall remain more of a Democratic-oriented group, as they've been consistently over the years." Soltis, of The Winston Group, said its polling also found that the Tea Party movement was slightly more male than female. But the movement, she says, "has allowed people who may not have felt they could get involved an opportunity to do so," she says. How the record number of Republican female candidates ultimately translates to gains on Capitol Hill remains unpredictable. "This is a year that might shake things up," Walsh says, but because of the electoral uncertainty gripping the nation -- from the Tea Party effect to the roller-coaster fortunes of both parties, "right now it feels like a moving target, like we're standing on mush." Rep. Cathy McMorris Rodgers (R-WA), who has has been spearheading her party's efforts to recruit female House candidates, says that though there are "a lot of factors involved in putting together a winning campaign, I'm encouraged by what I see."." At the very least, 2010 is expected to go down as the year Republican female candidates set a new benchmark for their involvement in congressional campaigns.